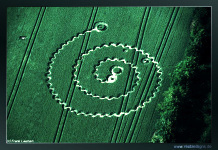 Crop circles - Anomalies. Explanation, decipher, decode, discovery, break code, explaining, decryption, puzzle out, scientific research. Is everything just a coincidence? CROP CIRCLE Anomalies comprehensible now. The lightning discharge is very simple, naturally occurring, and shocking logically explaining the cause of series electrostatic, electromagnetic and any other anomalies, that are usually present within and close to any genuine, by natural forces created Crop Circle. This page serves only as a brief outline explaining some major anomalies found near crop circles. The whole issue is much more detailed on another page, Anomalies, part of the main menu, and pop-up submenu appearing there, where is the problematics elaborated in more detail. A more detailed list of the most important anomalies, some of which will be discussed in more detail there, is at the end of this page here. It's still just a pre-release, probably sometime in the future pages will be put together. Absolutely all described, so difficult to understand, even almost completely "unexplainable" phenomena possible easily explain and understand as mere echoes of what on that place some time ago took place - a huge, gigantic electromagnetic -electrostatic - electromechanical pulse (so Called LEMP - Lightning Electro Magnetic Pulse), that for a longer time caused a variety of materials on the surface and underground various "unexplained" properties - temperature differences (and the resulting large pressure differences - different sounds), static electricity, magnetism. Thanks to that may be in the underground stored temporarily many tens of kilograms of extremely toxic chemicals. Safety First, Lucy. It is strongly recommended do not take to such place guinea pigs, especially when many of them on the site is experiencing quite typical symptoms consistent with the use of drugs. Already well over 20 years. Posible, that some of them are repeatedly trying to find such places to be happy again. Crop circle abuse, Crop circle syndrome abstinence. Cars (now contain a lot of microelectronics, the surplus electricity can cause static on classic cars older types of electrical installation. Farmers also reported some disturbances harvesters and tractors. "Excess of electrostatich charge may cause problems or malfunctions"
"may cause malfunction under electrostatich charge"
"may be damaged by static electricity"
or something like that, very similar. To transfer or record information is used without exception - electric charge, sometimes simultaneously also electromagnetism. The same applies even to a far greater extent on the removable memory (SD, xD, SDHC, SDXC, flash and any other) in all of these devices, all of which can not only be completely destroyed or seriously damaged by static electricity (own observation), also "only" erased (again, personal observation) or fortunately, for a time unable to work (another personal observation). High amounts of static electricity also were measured by Crop Circle researchers. 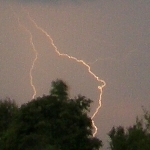 There maybe present a remnants of an electrostatic charge, which was in place just before the lightning discharge occurred and during it in such quantities that it is beyond any ordinary human imagination, even a small part of it still represents a large amount of energy from which measurable residues hidden lowly underground are likely to persist longer. Own observation: after visiting and shooting two places of lodged (damaged, weakened) crop (the first day when lodging (damaging, weakening) appeared, 10 days after the storm and lightning discharges that caused the lodging (damaging, weakening)) more 90% of 16GB SDHC card erased and destroyed - it can not be formatted back to the full capacity, even less than 1Gb. Camera "survived". Pictures with question marks -?- Images that were deleted and can not be restored, located on the damaged part of the card. The following day failure during shooting (visiting the same sites, new memory card), a message "empty card". After the restart functions restored, images not damaged. Turn off and away! Since then cameras transferred in conductive containers as well as shooting. - for instance an effect called LIRM, see wiki. Also magnetisation of pipe tubes (iron) underground, remaining there after high voltage pulses. That effects induced by huge electromagnetic field during discharge (approx. 30 000 Amperes, sometimes maybe more 500 000) - Lightning Induced Remanent Magnetism, possible find here. Phenomenon is caused by a huge electromagnetic field that arises during discharges in its immediate vicinity. During discharges take place average currents 30,000 amperes, but available more 500 000A. Available very significantly magnetize any substances capable of magnetization present at the site, for a long time - especially in the case of field ubiquitous Fe, Fe2O3.FeO, and in very many cases water pipes present there underground. Steepness of the leading edge of current pulse is 5000-30000 amperes per microsecond, subsequent pulses more than 200 000A/μs! Surely it would be possible to reach interesting conclusions by comparing the plans of water supply and sewerage, electrification, gas and signal lines and networks with the shape and course of the patterns found over them (for example, the centers of circles). Not just today, also plans from years long past, and now completely abandoned. A considerable degree on the shape of some patterns and lines may also participate in archaeological structures - see Archaeology. may be already long time unused. Dead animals, insects sticked on stalks and spikes - lightning current hit. In case of insects maybe only induced voltages (many thousands Volts/m) - electrostatic or electromagnetic induction. No one able to wonder that on a place, where the lightning struck, there are dead animals - from less then milligrams to several tons (a single piece). According to estimates remains after each lightning hit in the field, above and underground, a few tens to hundreds of kilograms of dead animals - mostly insects and small animals. Immediately became a part of the food chain, and other animals take care of them. Although most circlemakers has a much smaller amount of fermenting plant material in their rumen. But far greater amount of fluid made from fermented plant material. Případy, kdy někdo podobné setkání přežije, jsou zaznamenány pravděpodobně jen díky tomu, že byl zasažen jen nějakým "dýchavičným nedochůdčetem", pobočníkem hlavního výboje (Return Stroke), paralelní větvičkou Stepped Leadera (přenáší nesrovnatelně nižší proudy i náboje než RS), nebo dokonce jen indukovanými proudy, nebo hlavní část energie svedl blízký strom nebo nějaký jiný, dobře uzemněný předmět. Snad jen pro ilustraci je možné uvést, že jeden jediný, jen mírně nadprůměrný blesk vyzáří během cesty mezi nebem a zemí, kdy urazí jen několik kilometrů, během doby kratší než je tisícina sekundy, takové množství energie, že by na něj elektrická lokomotiva několikrát objela zeměkouli kolem dokola. Takových nadprůměrných blesků proběhne během běžné bouřky několik desítek (průměrná bouřka: několik tisíc až desítek tisíc výbojů, během kterých urazí oblačnost několik desítek až několik set, ale i přes tisíc km). V případě opravdových "macků", jakých se urodí jen několik za sezónu, by potom s využitím jejich energie stejnou vzdálenost ujel celý hodně naložený nákladní vlak. Je popisován jeden jediný, i když hodně nadprůměrný blesk. in soil; also would be adhered to the stalks, leaves and spikes. Crop stalks are also electric conductors, even if very bad. Due to the fact that there is during the discharge induced voltage many thousands of volts per meter on them, some current must pass through them. High amount (noticeable damaging) of electric energy may be conducted through it due to electrostatic induction. The entire plant body behaves during the discharge as a classical current conductor, that is why acts as an electromagnet to its surroundings (magnetic field around the wires), granules of any magnetizable substances covered by the Electromagnetic - Electrostatic - Electromechanical explosion caused by lightning discharges, occurs in strongly ionized dust and gas ball on that place high amounts. A tiny part of the iron contained in the soil (there it is 3%) may be present in the form of soluble compounds (sulphate, bicarbonate, dihydrogenphosphate), and during lightning discharges thanks to the electrolysis (reduction on the cathode) can be converted into pure Fe. In addition on that place may be present hydrogen produced by electrolysis and thermal decomposition, as reducing agents can cause a number of substances present in the soil, high-temperature dissociation and decomposition may occur. Magnetic particles in the soil: the lightning discharges creates at the moment a huge magnetic field that magnetized for an extended period of time all ferromagnetic materials up to a distance of several tens of meters, metal pipes underground much farther. Content of Fe in soil is about 30 g / kg in the form of hydrated oxides, phosphates, carbonates and their partially soluble forms. The possibility of their conversion to pure iron during the discharge was explained in the preceding paragraph, and it is quite natural that all the iron thus formed will exhibit measurable magnetism. On the BLT page able find such as used here image. Apparent meteoritic - they mean illusory, virtual, of course. The total amount of iron present in cultivated agricultural areas is only due to its natural content in soil (rounds 3%), about 100 tons per hectare. We consider only the layer of soil to a depth of 10 cm! Is is really enough, and is absolutely useless to look for some meteorites. Exactly the same way as the iron caused by reduction can magnetize all its oxides and other magnetizable compounds present on that location. Simplified model is possible to consider each particular, single crop circle as a "visualization of the magnetic induction field lines around the conductor". That conductor was in this case the air, more specifically plasma, created through it during the discharge, was about 5mm wide, not more 10mm, and the current conducted through it was several hundred thousands of amperes. Magnetic field surrounding such a wire is obviously "something more high" than a field, created by the teacher during a physical experiment in a school laboratory. 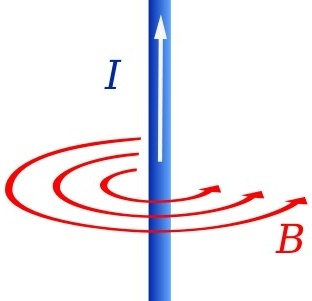 Interestingly is possible indicate that the rate of current rise in such a conductor (di/dt) sometimes exceeds more than two hundred thousand amperes during a single microsecond. In common engineering practice (starting motors, generators, transients) there appear values of order many million times lower. The rate of current rise is a crucial factor affecting induction of the surrounding wires (any plant is also a wire, even if very bad), the higher rate the higher voltage induced. Infrared anomalies - considerable high quantities (hundreds of megajoules; 1kWh=3 600 000J, 100MJ=27,78kWh) electric energy was transformed into heat underground, remmants accumulated there, and may cause infrared anomalies many days after lightning hit - local temperature underground may be several degrees Celsius higher. 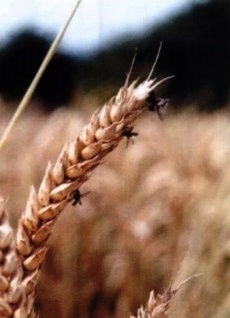 Next anomaly (also described in documents relating to crop circles) are places with lodged (damaged, weakened) crop (eg barley), which is incorporated in such a small amount of wheat, but lodged (damaged, weakened) is only the barley. This can be easily explained, so that wheat could have during the lightning discharge, which took place in the field, say, a few weeks ago, much higher humidity, less resistance thus received a much lower dose of energy that it nearly did not damage as barley present there. Besides all the differences indicated, for example, just wheat to barley have greatly improved physical constitution and mechanical strength - explained elsewhere. 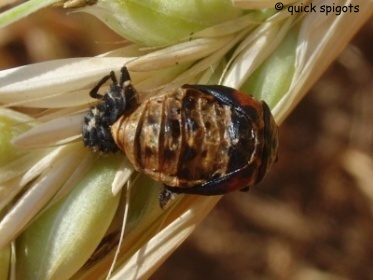 If not apply in the place in distinct degree domino effect, barley falls stalk by stalk, not in (wild) bunches, and wheat will remain undisturbed. Possible will follow later. In addition, may be sometimes seen that on the adjacent fields, where is barley noticeable in the stage "dry straw", in a neighboring wheat field did not start even turning yellow, and still contains a very high percentage of moisture. Everything depends substantially on the terms of seeding, of course. barley on the day when lightning indicated after full heading, growth stage 71-75, wheat long time before full heading (followed after 2-3 weeks), much greener, higher moisture content, growth stage 37-39. Barley is already dry, the stems almost remind of dry straw. But also observed lodged (damaged, weakened) barley with a small amount of wheat mixed multitude, much greener and practically without any weakness, lodged (damaged, weakened) with barley perfectly coordinated, without exception, most likely thanks to domino effect. Generally in all, from the agronomic point of view, barley is to wheat or rye in fact much less resistant, and will not last as much adverse effects, on all response significantly more sensitive. That is why the beer is more and more expensive. Explanation: plants from the ancient times are likely to keep some reserves in case of various disasters. Is known fact that the seeds of some plants of the Australian bush will germinate only after a fire, because if they did before, it could lead to the extinction of the entire population (something would have known about that Mike Dundee and his friends aborigines). In the areas of lodged (damaged, weakened) crop is then possible to find a much younger plants, which clears the path through the flattened (damaged, weakened) vegetation. Their germination approximately corresponds to period of time when the storm ran over the field and was hit by some of lightnings. 2nd Patterns, culminating in long chains. Their formation is possible to explain such a way that fell into that place so-called bead lightning, which consists of many consecutive exploding balls or balloons, falling to the ground, seems before the cord hanging from the sky. Maybe there are gasses (H2, O2) caused by electrolysis or thermal decomposition of water, maybe ionised compounds. It is a much rarer phenomenon than the usual uninterrupted lightning, one of an estimated several thousand discharges. In the case of pattern formation it was probably one of the successive discharges, finishing the formation. Right: West Woods - nr Lockeridge, Wiltshire 10th Jul 1998. Phenomenon is documented, will be released with time, as a little surprise (to be completed here, at this point). On the locations of crop circles undiscovered ever. They can occur in deep underground. Something similar but still might be found on pages BLTresearch and perhaps elsewhere. Seek and ye shall find. It's there in the depths somewhere. There will be given full page Fulgurites. Phenomenon has never been included between anomalies, found on the locations of regular shapes, it is rather the accompanying effect, inseparably linked to the phenomenon of lodged (damaged, weakened) crop. 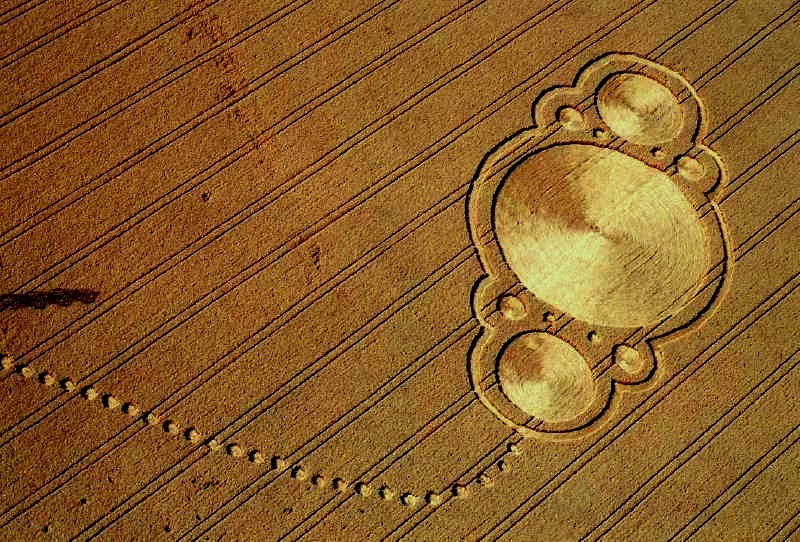 It is "automatically" documented in numerous crop circle photographs, especially after harvesting. On such harvested sites are very clearly bounded green areas - places with an increased incidence of weeds. In the commonly grown and treated crop monoculture appearing in the field, there is no place for the weeds because the plants are grown with a density that utilize almost 100% of nutrients present in the soil. After the lightning discharge several plants (a few percent to 10-20%) will die, by that is immediately equivalent part of these nutrients released for unwanted plants. Plants that survived, for several days nearly stops the growth and are ripening noticeably and clearly more slowly so that there is a slower extraction of nutrients from the soil, are also noticeable weak, all of that plays into the growing of undesirable plants. 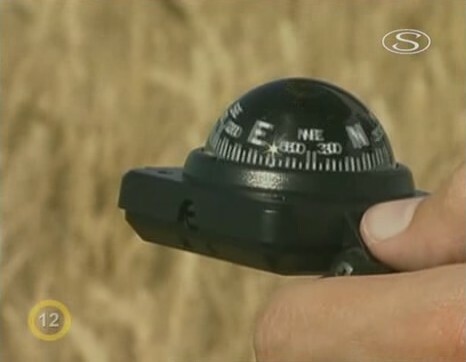 Phenomenon has never been systematically studied in the crop circle areas, but of course will be possible to monitor it and evaluate at any time in the future. 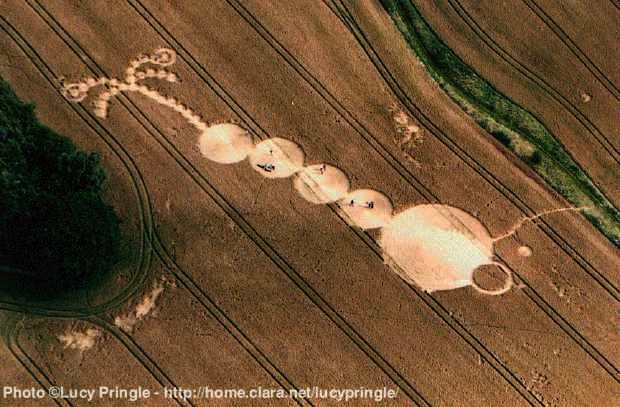 It can be noted on a number of Crop Circles photographs as an additional effect, also on some map base air photos from Google Maps (Google Earth), or Bing maps, or other airshot photo sources. Center holes caused by a "hammered pin"
Through lightning discharges in the crop field of even possible to explain the "anomaly" that Crop Circles phenomenon explorers themselves never did not consider as an anomaly: a hole in the center of some circles (like due to a hammered pin, or something like that). On the contrary it has been always considered as a clear evidence of figures falsificated by people. Really possible very easily imagine that just something like lightning discharge could create something like that in the ground. Its diameter (the lightning channel) is exactly at the moment when the greatest transfer of energy proceeds, not much exceeding 5 mm, but is "sticking" to the ground by force of electric locomotive. To make matters worse, it performs speed between 1/3 - 2/3 of light velocity. Indeed, the Return Stroke, the main part of the discharge, which carries the largest discharge energy, is really moving at this speed, the other part of the process are moving much slower, example in a brief overview here. The table indicates that the lightning discharge is a relatively complex process, consisting of many consecutive steps. As is it possible to determine from photographic examples here, the lightning discharge has power really enough to make a "pin stuck into the ground." Some more details about processes that were in progress there, here. Other previously undetected anomalies - paths. 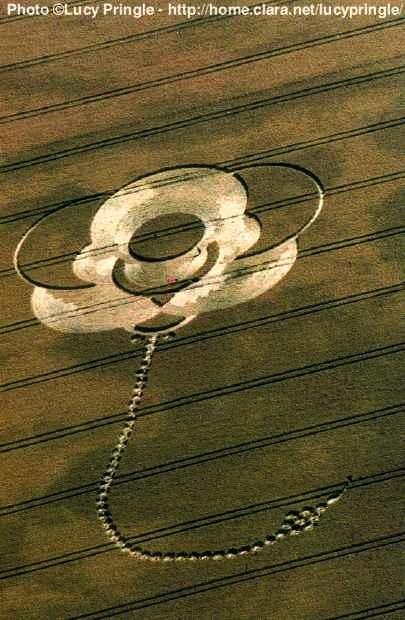 In the surroundings of large crop circle amounts are paths - seeming directed into the shape or out of that. Due to the large number of observers, who have visited the place, it does not look like to be unusual. But BE CAREFUL, not all of them must have been created by people. It is very likely that some of them were created by the excess of electrical charge. Part of the discharge that passed away from the huge charge excess, to any place where is momentary deficiency in accordance with the rules of electrodynamics. Against the place where lightning discharge landed is the lack of electric charge virtually anywhere, and discharge shall be conducted out of there usually by the easiest path away, also not only by that. Sometimes (not always) such a way can be directly straight down to the ground, other times before finally conducting to the underground can have a significant part of the energy to travel relatively long and interesting tracks on the ground and just below it. In some cases primarily follows the tractor tracks, others can travel outside them and through them, may also follow in various fittings and underground lines, any utilities, also archaelogical objects, or may be combined more of these options. In the vegetation are sometimes created so incomprehensible meandering paths, sometimes seeming to lead nowhere, created by goose march of "Drunken sailors". Often getting tight, and could arise in a longer time after crop circle discovery. In the vast majority of cases (100,000%), they have been paid by absolutely no attention, any observer simply notes that there "someone marched there". In some cases, because of their shape creation really can not be suspected anyone other than a round of drunks - the zigzag is sometimes baffling. Time to time getting tight to nothing, in accordance with behavioring of the electric current. Here will be placed some photos of similar cases. Crop circle photographs, where some, not all, paths to the surroundings may not be created by people, but on the surface crawling meandering "snake of lightning discharge", or rather its fading remnant. Only once they have been really paid by an attention, in that case they were not a direct paths, but the radial expansions of the central circle (Czech), and appeared really later, perhaps the next day. Also many (safety first, Lucy!) health troubles, announced by many researchers. Any of them may be explained by that: enormous quantity of electric energy may produce high amounts of dangerous chemicals, poisons due to heat and electrolysis in inorganic and organic materials there (underground). Many of them may be really very dangerous and may cause some effects like drugs. (sense of presence, nausea, metallic taste, hallucinations, thirst, disorientation, memory loss, feelings of panic, terror, evil, peace, love or light and anything like that, ask toxicologists). separated therefore, that in their case, unlike all previous is possible that someone brought into place to increase ratings. It would be also possible to bring SiO2 granules somewhere, but silicium dioxide, that was for a short time demonstrably under influence of temperature higher than 4000-5000 ° C, is really difficult obtain in the drugstore. Other listed substances, no matter how clean or even mysterious, certainly is possible obtain somewhere. 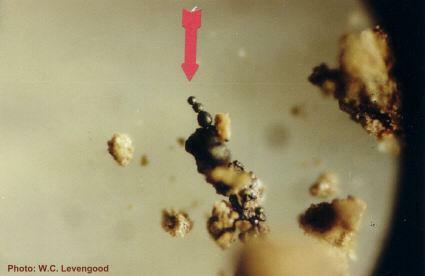 Even so, their presence can be explained at least in some cases: they may be an "igneous" - immediately after the discharge may be located underground small deposits of water at several hundreds Celsius degree and corresponding pressure, that can go rapidly up to the surface, if possible, and take there everything located in its proximity. If it has met a white powder, takes it up, and if there is some organic or plastic waste, it can melt it and take them up, too. The waste can get into the underground whether through an official way (dumping ground) or by an unofficial way (illegal dump waste, random scattering). Such as germination anomalies. Explorers sometimes find, that the seeds from inside patterns locations have better germination, than outside. This is due to the fact that researchers of crop circles are almost without exception total agricultural illiterates, who had never heard that there are phenomena such as dormancy (inhibition of germination) and post-harvest ripening, and carried out their experiments oversoon. Dormancy is normal natural phenomenon, protecting seeds (not only cereals) from early germination, so that their seeds usually just after harvest show significantly lower and very irregular germination, and it takes several weeks to months, before reaching the highest values. It is logical, because for the offspring maintenance are greatest importan seeds, germinating next year. It is therefore quite normal that some samples taken from the figures may have for some time better germination than samples taken from sites with intacted plants. Lower germination of that places is all right because they have preserved inhibition of germination, and higher germination of seeds from the pattern just proves that they are damaged, resulting in the failure of dormancy. If the Crop Circles researchers asked even a lot of stupid brewer in a brewery, he would surely give a quite detailed explanation about the phenomenon called dormancy, also post-harvest ripening, because if he did not take it into consideration, his beer would be quite wrong. If, however, found a brewer, who knows nothing about dormancy, as well as such may occur (some breweries do not make their own malt), surely would be able to explain them that problematics in detail workers of any malthouse or students of any medium (high in America) agricultural school. One cause of dormancy failure, achieving higher germination at inappropriate time, may be sometimes drying out the soil under the pattern by the action of lightning discharge energy, which is certainly possible to be objectively documented. The seeds may such become a little faster in a state similar of ripeness, though not completely a standard way (and thus have partially damaged tissues, which may be the cause of described changes). Crop seeds are already more than a month before harvesting in such a stage of development, that even after being picked not completely ripened ear only dry up, not really ripe, all of their reproductive organs are already in such a stage of development, that they can perform their reproductive process from germination to maturity of subsequent offspring, although not as developed, as fully ripe seeds. They do not have fully developed 100 % reserves of starch, but even so they are sufficiently developed. They can also be variously twisted and withered. 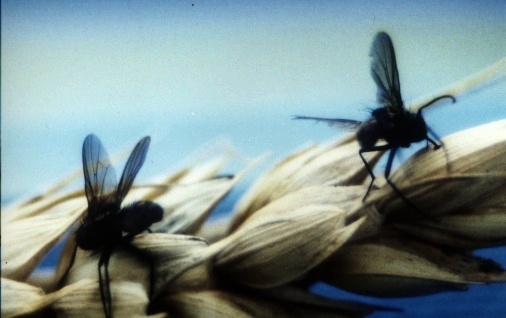 Twisted and withered seeds, that might have had something on their photos our favorite Crop Circle researchers? All of these anomalies will be in the foreseeable future, in details on the page Anomalies (classification and explanation), part of the main menu, and its subpages.